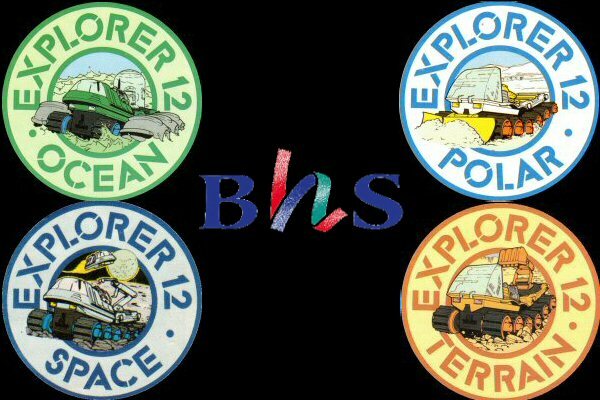 The Terrain Explorer was of the flat cab type and if I remember correctly was relatively rare as I only remember ever seeing a few ever on sale, at least in BHS Glasgow. I never had one of these when I was younger but my Dad picked up a battered non functional chassis from a car boot sale a few years back. 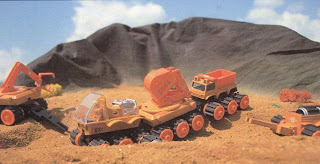 EX1 was orange in colour and was equipped with a Mechanical Excavator on its immediate trailer. Trailers available were the Dumper Trailer which was a modified version of the Mobile Command Trailers for the Polar and Ocean Explorer with a Dump Body mounted in place of the aft cab, The GR18 Mechanical Grab and the DV27 Basic Haulage Trailer which was exactly the same as the Polar version but coloured orange and came with a spare wheel set.